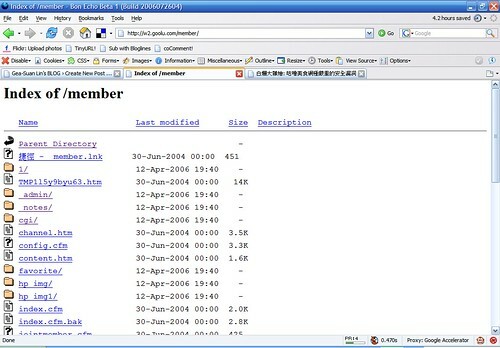 This entry was posted in BBS, Computer, Murmuring, Network, Social on July 30, 2006 by Gea-Suan Lin. This entry was posted in Murmuring on July 28, 2006 by Gea-Suan Lin. This entry was posted in Blog, Computer, Murmuring, Network, RSS, WWW on July 28, 2006 by Gea-Suan Lin. This entry was posted in Computer, Murmuring, Network, Security, WWW on July 27, 2006 by Gea-Suan Lin. 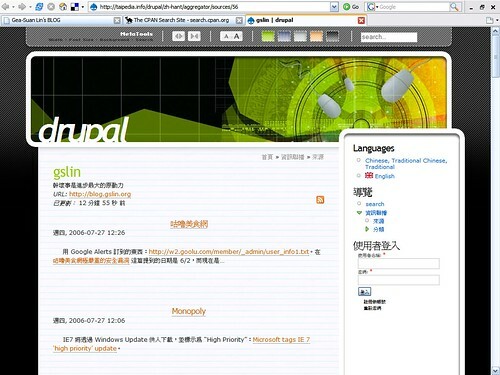 This entry was posted in Browser, Computer, IE, Murmuring, Network, Security, Software, WWW on July 27, 2006 by Gea-Suan Lin. This entry was posted in Computer, Murmuring, Network, RSS, WWW on July 25, 2006 by Gea-Suan Lin. 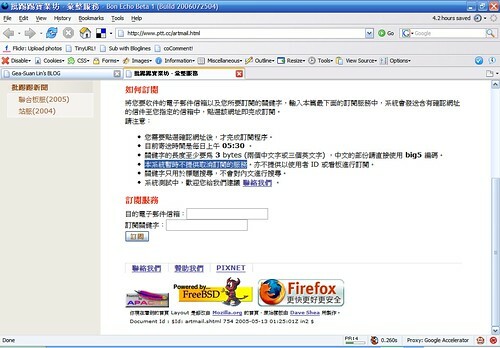 This entry was posted in Browser, Computer, IE, Murmuring, Network, OS, Security, Software, Spam, Windows, WWW on July 24, 2006 by Gea-Suan Lin. Pew researchers called 233 bloggers between July 2005 and February this year and undertook additional, larger-scale telephone surveys through April. These follow-up surveys yielded a sample of 7,012 adults, which included 4,753 Internet users, 8 percent of whom are bloggers. The margin of error was 6.7 percent. This entry was posted in Blog, Computer, Murmuring, Network, Social on July 24, 2006 by Gea-Suan Lin.